Hi’ya doing. First and foremost I’d like to apologize for the typos. I’m really trying to catch them as I go a bit slower. I’m posting faster, but if you guys catch them let me know cause I thinking I’m catching them, but obviously, I’m missing something. thanks. 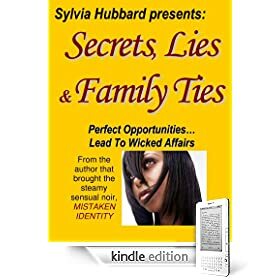 Check out my book, Secrets, Lies & Family Ties on Amazon Kindle. 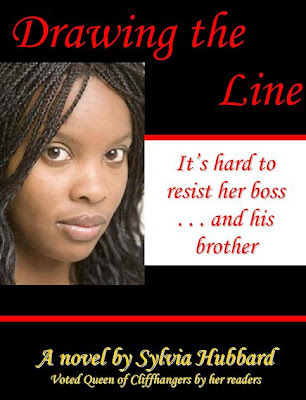 If you have read the story (This is the Grae and Ezekiel story), have an Amazon account, please go there and post your review NOW!!!! I made an appearance on one of the reader’s blog with my views on Violence. Check out her blog: http://ishouldbeworkingbutwhywhenicanblog.blogspot.com/ and read my comments on her question. Sylvia, am going crazy i have checked ur site for more than 100 times now. I am still waiting for my miracle. Pls dont disappoint me. I really missed you not posting today. Please get back to us soon. Can You give me more details as to what she did to Paul? I just love the twis tand turns you’ve added to this story! its really cool..and you are pouring out so much in a short time..wow gal! U d bomb! Sylvia are you posting today? You hit the 15,000 mark and beyond Yeah! !